The House of Hades is the fourth book in the bestselling Heroes of Olympus series, set in the action-packed world of Percy Jackson.The stakes have never been higher. 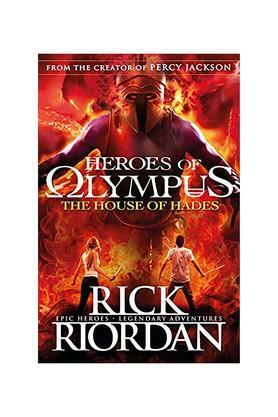 If Percy Jackson and Annabeth fail in their quest, there'll be hell on Earth. Literally.Wandering the deadly realm of Tartarus, every step leads them further into danger. And, if by some miracle they do make it to the Doors of Death, there's a legion of bloodthirsty monsters waiting for them.Meanwhile, Hazel and the crew of the Argo II have a choice: to stop a war or save their friends. Whichever road they take one thing is certain - in the Underworld, evil is inescapable.Rick Riordan has now sold an incredible 55 million copies of his books worldwide.